Are you planning something fun in your life? Are you looking forward to a long vacation with your family? 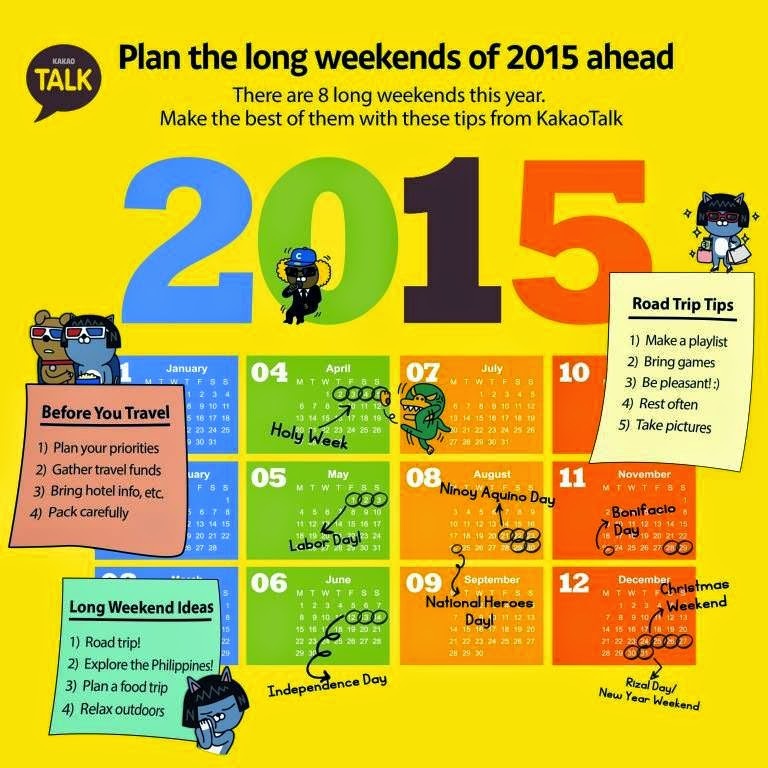 This 2015, there are 8 long weekends caused by the holiday declaration of the local government. Know when these long weekends will fall will help you effectively plan out your vacation, or staycation ahead of time. With this in mind, KakaoTalk, one of the leading messaging application in the world, comes up with an infographic that pins down these long weekends and gives you tips on how you plan these days ahead. So go on join a group, plan a trip, and make the most of each holiday break!